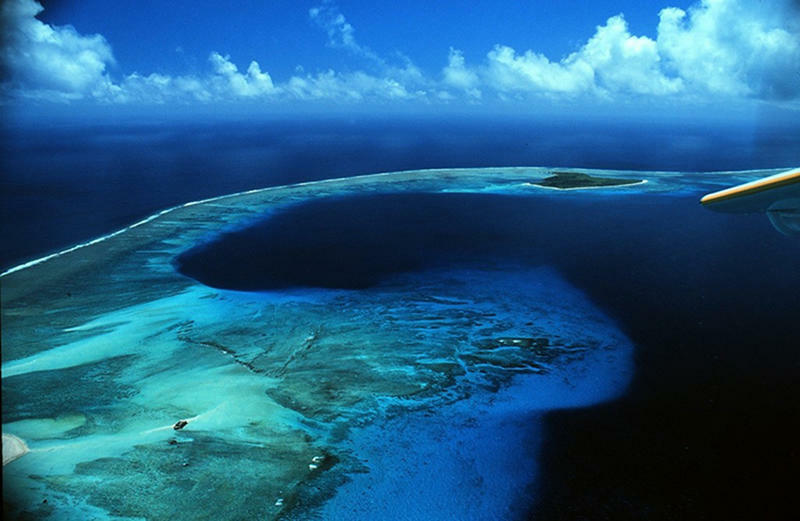 This is the Bikini Atoll, a beautiful paradise island of the Micronesian island group in the Pacific Ocean. But behind this idyllic picture is a devastating story of an island stolen from its people by nuclear testing that went very, very wrong. 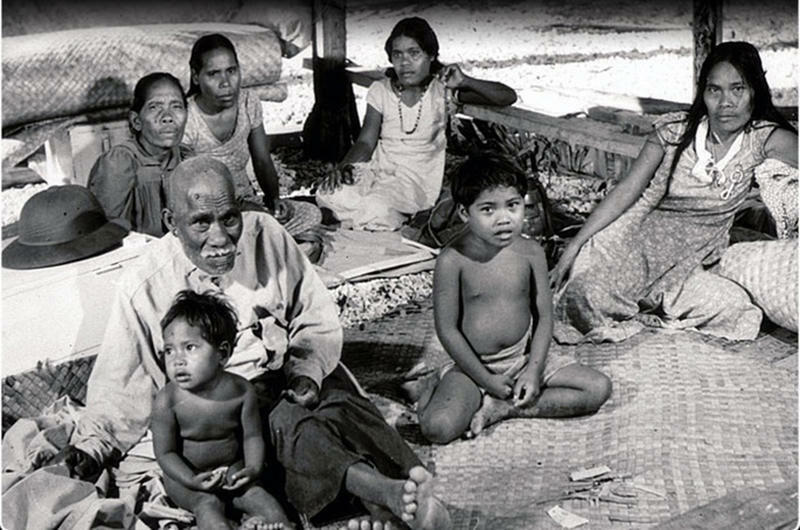 For over 2,000 years, a small community of indigenous people lived peacefully in this remote paradise. Being no stranger to war, as the island has been occupied by Japaneses forces during WWI and WWII, the islanders yielded easily and trusted the U.S Army. 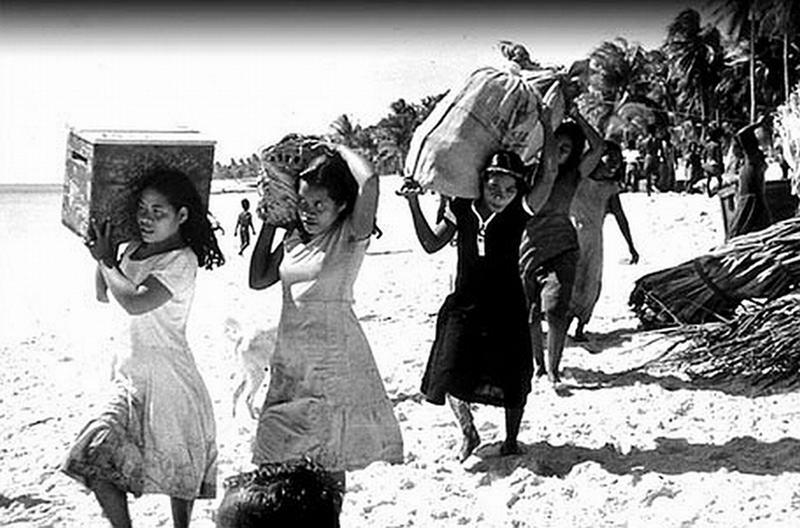 The evacuation started in 1946 and as the Bikinians packed up their belongings, they watched naval ships, aircrafts, some 25,000 radiation recording equipment, and 5,000 animals (to be used for radioactive experimentation) and thousand of U.S. military personnel took over their home. 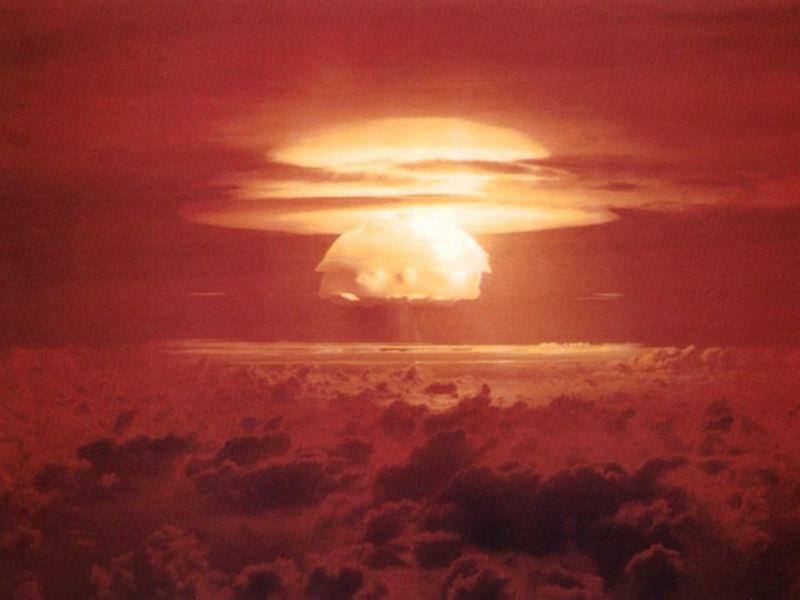 In a twelve-year period, between 1946 and 1958, 23 nuclear bombs were detonated at Bikini Atoll, including one bomb detonated in 1954 that’s more powerful than the ones dropped over Nagasaki and Hiroshima. 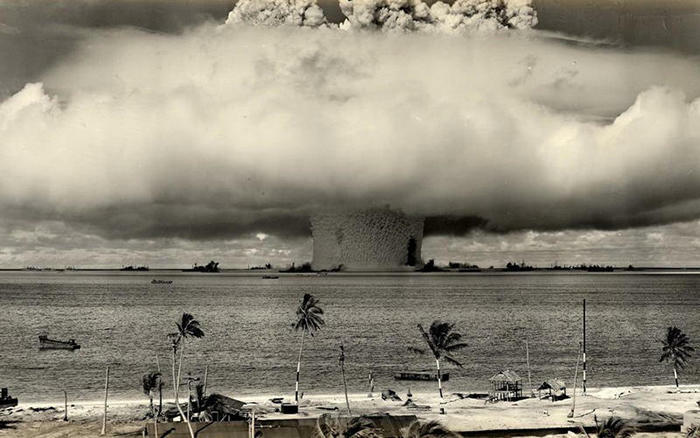 H-bomb detonated in 1954 which was 3 times more powerful than expected. 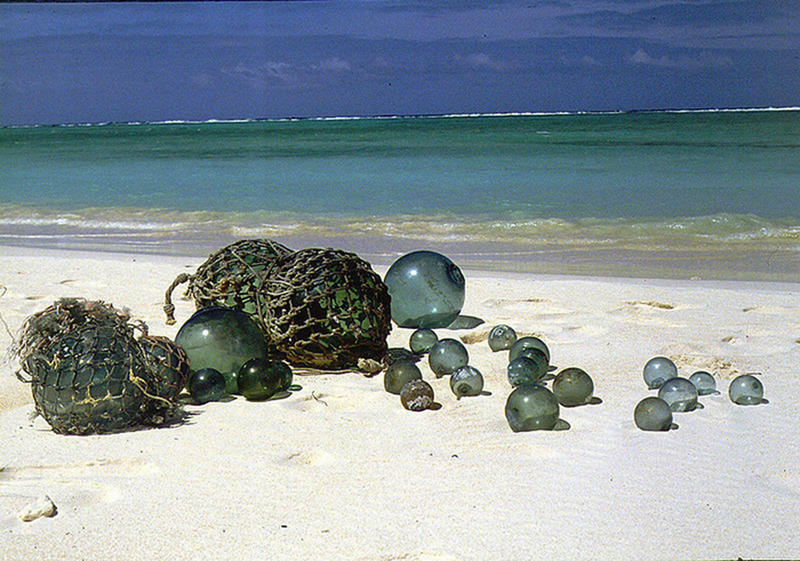 The magnitude of the 1954 nuclear explosion was completely underestimated by the U.S., sending millions of tons of sand, coral and sea life high into the sky. The aftermath is just plain scandalous. Pictured here is a large crater/ sink-hole left by the blast of an American nuclear test H-bomb. 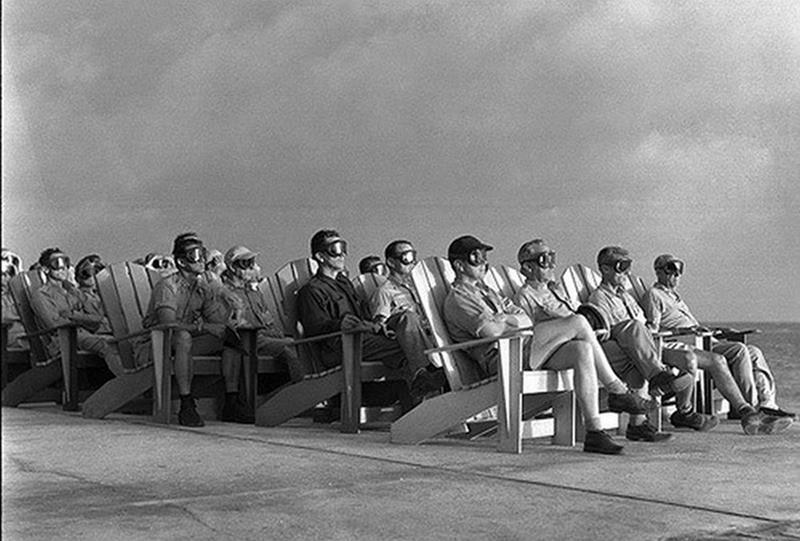 American VIP spectators watching the nuclear explosion from a safe distance as if it was the first day screening of a Hollywood movie. 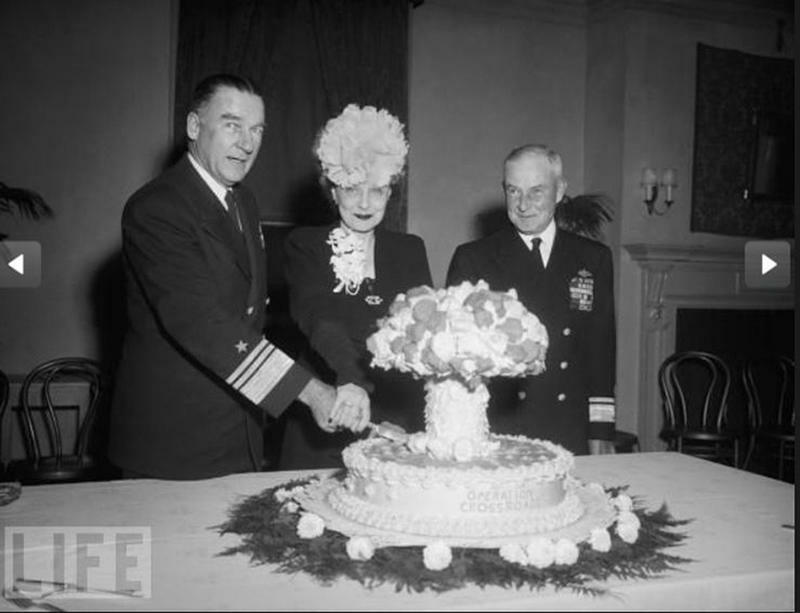 Vice Admiral William Blandy (left), his wife and Rear Admiral Frank Lowry celebrating the atomic tests on Bikini Atoll in 1946. Blandy was the one in charge of the testing. 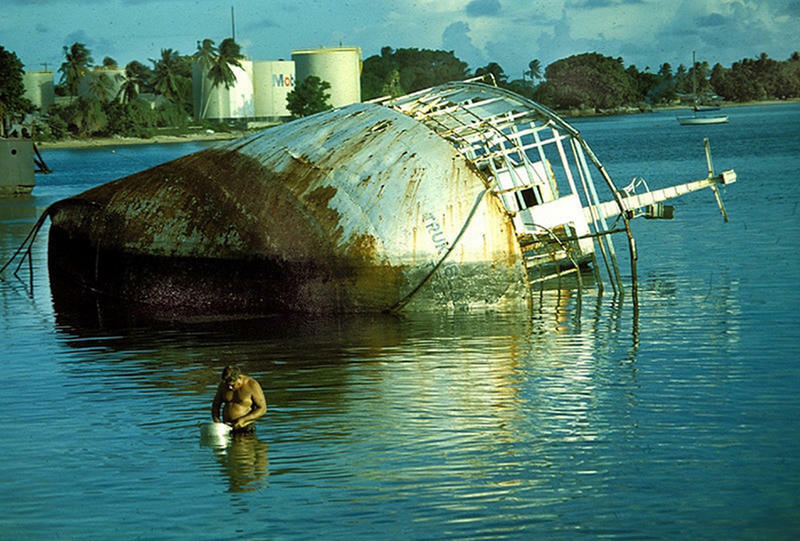 Residents of neighboring islands, around 100 miles or so from Bikini Atoll, that have never been informed, evacuated or accounted for in the blast radius, woke up to a 2-inch layer of radioactive dust falling everywhere, immediately contaminating their drinking water. Unaware of what it was, children played in the ash. But by nightfall everybody was in a state of panic as signs of radiation exposure started to manifest: hair loss, severe vomiting and diarrhea. 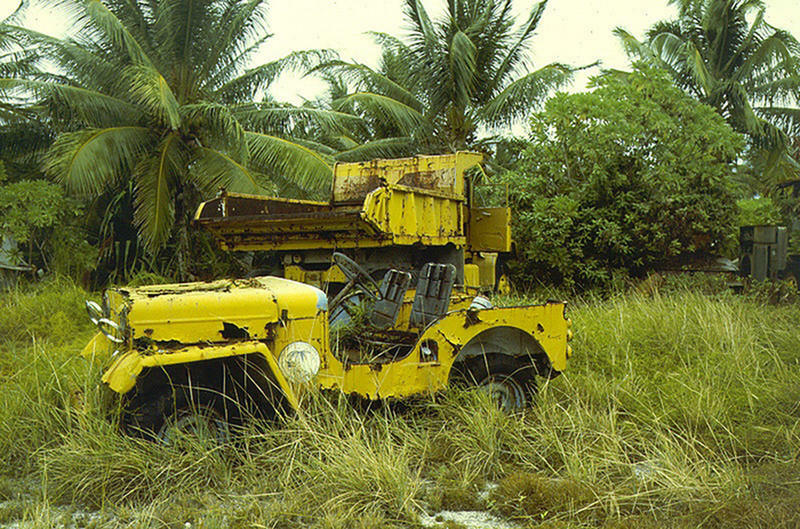 The effects of the radiation resulted in severe illnesses and devastating deaths. It took two days for the U.S. government to reach the affected residents, provide medical treatments and evacuate them. A nearby Japanese fishing vessel with its 23 crew were also exposed to the ash hours after the blast, not knowing what it was. 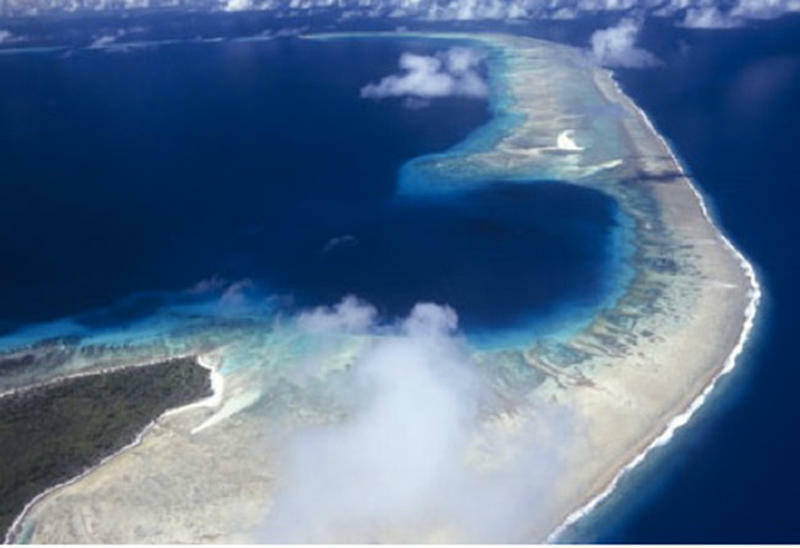 Now, laden with blast craters and sink holes, the Bikini Atoll would never be again be safe to live on, despite what its residents had been led to believe. 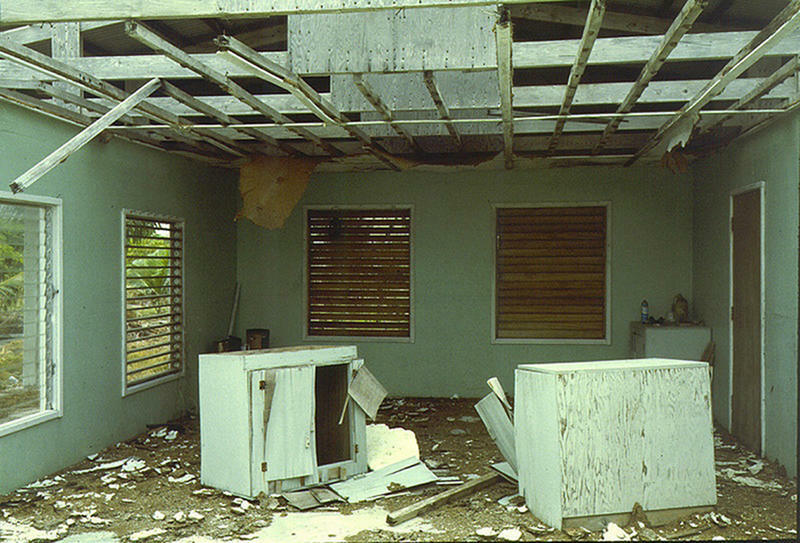 The U.S. government had tried relocating them from one island to another providing them with minimum handouts. Over the years, plagued by malnutrition (due to inadequate food and water supply) and mysterious illneses, the Bikinians struggled to settle down. 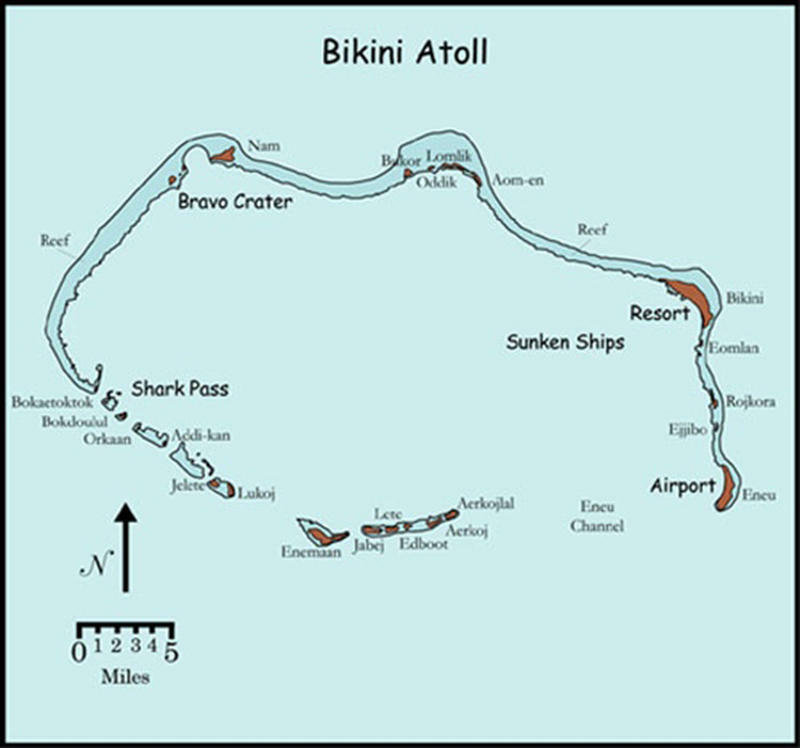 Finally, in the 1970s, after the Atomic Energy Commission declared Bikini Atoll “virtually free of radiation”, the Bikinians were allowed to return to their island. They were told that the well water and locally-grown food are safe to consume. 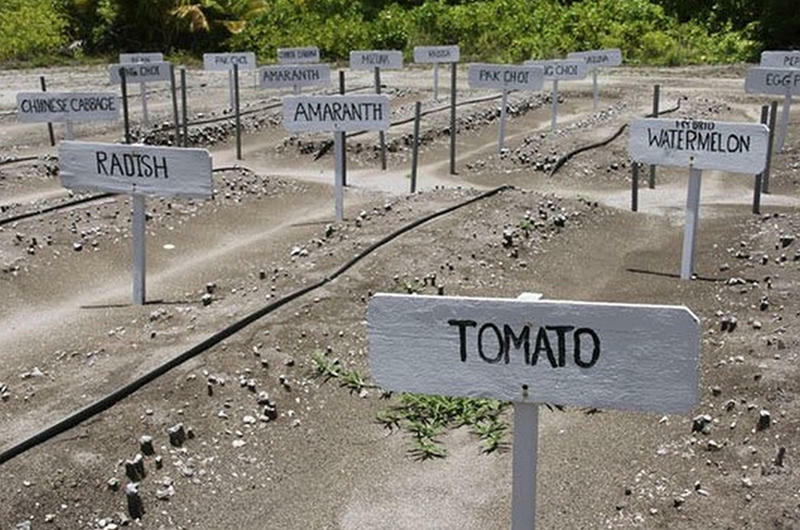 At first, the islanders were just told to stop eating certain local produce as they were contaminated by the poisoned soil. But further testing soon showed that at least 139 Bikinians have alarmingly high radioation levels, way above the permissible level. Once again, the Bikinians were evacuated from their home. 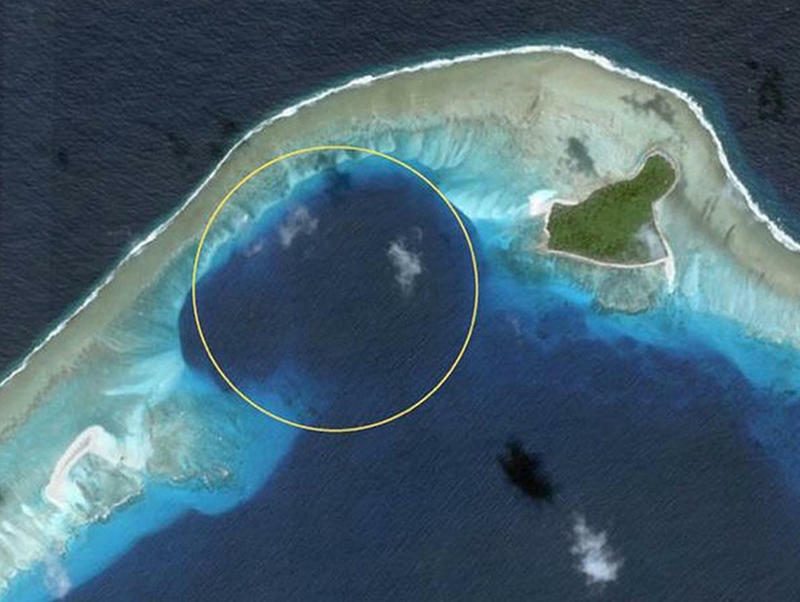 To this day, Bikini Atoll remains abandoned. 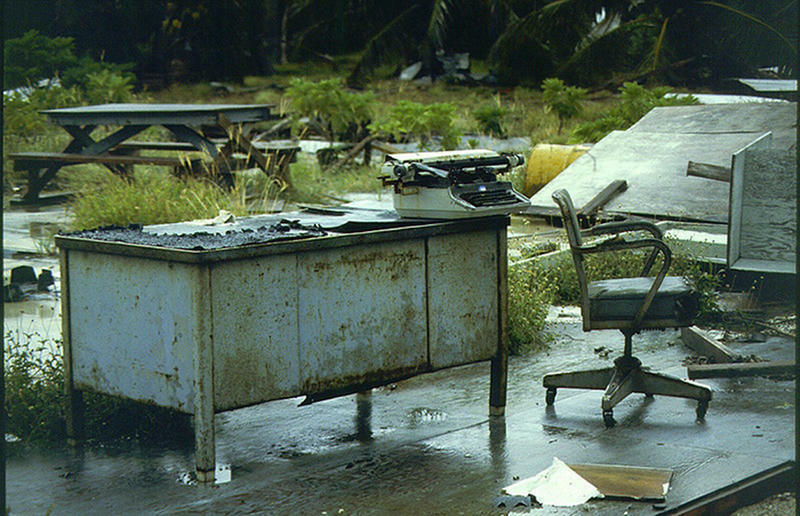 It is was just like the Chernobyl disaster, but in paradise. We were so heartbroken that we didn’t know what to do. But our islands were now again being declared poison. The Americans were telling us that we had to leave. We had to follow what they were saying because we really felt that we had no choice. If they say it is not safe to live there, we have to go, even though we hated departing from the islands where we had come to know peace and quiet for the first time in many years. 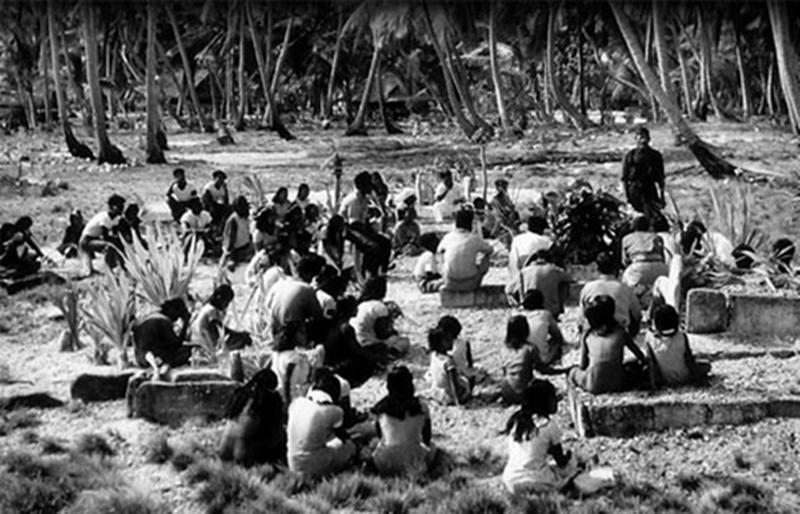 We even asked them if we could stay on Eneu island and we formulated a plan among ourselves where we were going to try to live by the airport, but they said we would have to wait until they knew more about the poison before we could remain anywhere on Bikini Atoll. And so we followed their wishes because we knew we shouldn’t go against what the Americans say. We were sad, but we didn’t want to make a problem for the Americans. If they say move, we move. 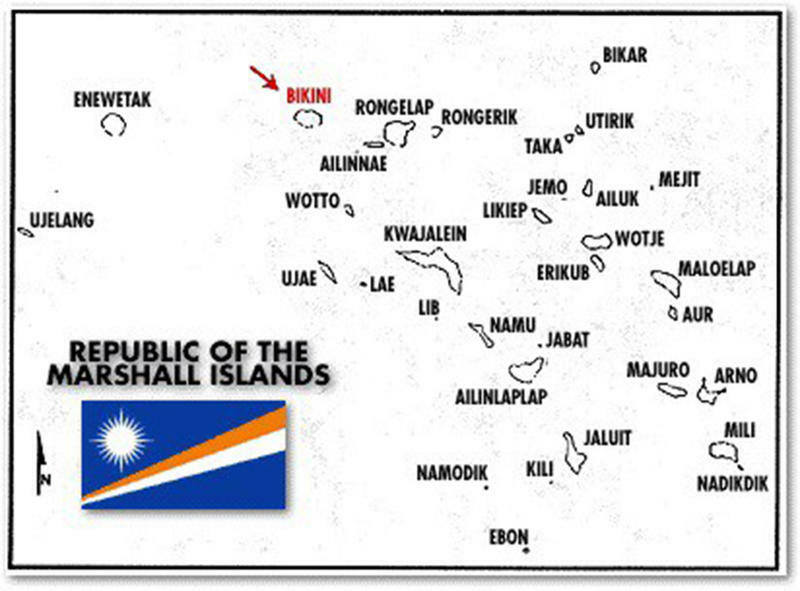 Majority of the Bikinians now live in the tiny island of Kili, still part of the Micronesian islands, but well away from their original home. The U.S. government provide them compensation for their survival. Watch How Women Got Dressed in the 1800s... Exhausting!